Standing against bullies has never been easy. It takes a heavy load of courage and inner strength to overcome the fear that is created in the mind of the sufferer. That shadow of darkness that is created in and around the physical, mental and emotional side is very difficult to break that barrier of panic, distress and horror that the person who is bullying creates over the sufferer. Whether with humans or with Animals, bullying should not be tolerated in any form at any level. Understanding this thought at a young age is even braver and a sign of maturity. Such an act was done by Wendell Overton. This young kid found out a group of grown up rowdy and wild boys, aged 5-13 years, torture a black and white cat that used to roam about in the neighborhood. These boys crossed limits when they crossed over the poor cat with their bikes, pelted stones at the cat, threw him in the air and did all sorts of bad things. Wendell Overton could not take this dirty and inhumane behavior anymore and raised his voice against the bad gang. The gang had its own superiority complex, but the strong determination did not let Wendell go weak in front of them. Overton bravely went in the group, pushed them away, picked the poor cat up and went home to his mother who in turn called up the Outer Banks Humane Society. When this act of kindness went viral, Wendell received accolades for showcasing inner strength. 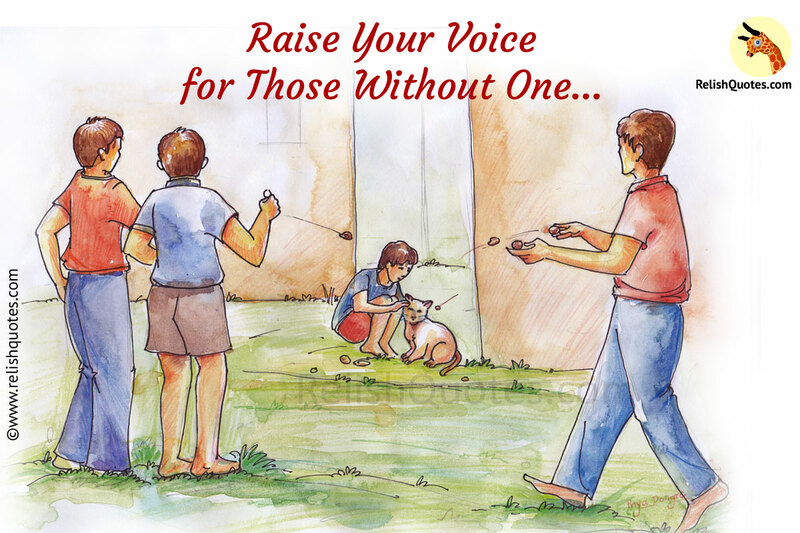 Stand up and voice your opposition against bullying. Never let someone bully you and make you a victim. No human has the power to exercise dominance over the other.